Made specifically for Boosted Board (electric skateboard) users, the Boosted Backpack is made to carry a Boosted Board and its related accessories. It securely and comfortably sandwiches the board vertically between a padded back panel and a fold-top bag. User-centric features include a magnetic external remote pocket for easy access, a convenient helmet carrying, a Boosted charger holster and expandability for larger loads. It also has a padded laptop sleeve, document organization, two internal pockets and one external pocket. 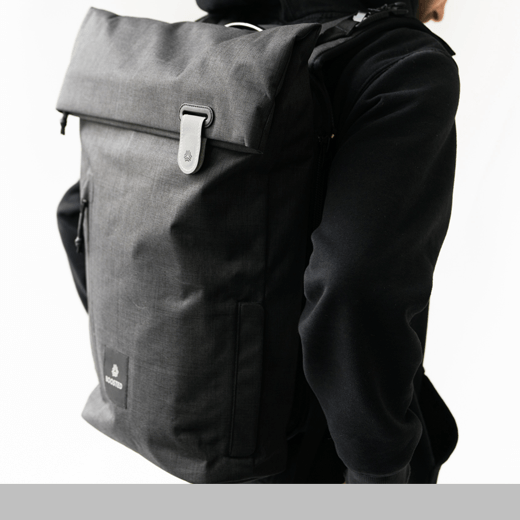 The bag maintains a refined silhouette while incorporating technical details like magnetic clasps, waterproof zippers and fabrics, reflective details and durable construction.